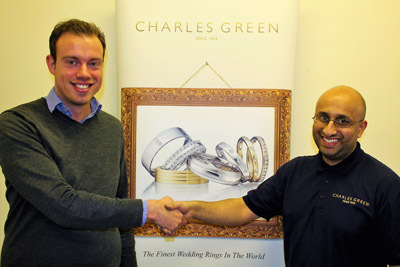 Wedding ring and jewellery manufacturer, Charles Green, embarks on a glistening 2017 with the recruitment of a new Gem Mounter. 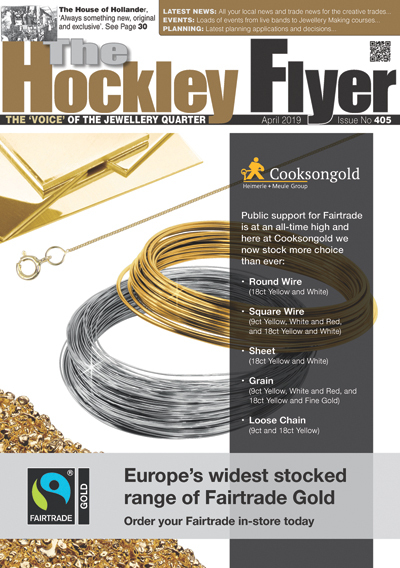 Following a successful 2016, the sixth-generation family business, based in Birmingham’s historic Jewellery Quarter, now boasts a strong team of thirty-four. New Gem Mounter, Jayesh Parekh, was brought in to work on bespoke and luxury pieces of jewellery and to help cope with the increased volume of engagement ring sales. Jayesh began working at Charles Green in early January and was immediately thrown into the deep end working on one-off, bespoke pieces to be exhibited at Baselworld, the jewellery industry’s premier exhibition showcasing major watch and jewellery brands. “I spent eleven happy years at Weston Beamor and was thrilled at the opportunity to further develop my craft at Charles Green. I guess there is no better way to begin than by diving straight in, helping to create some exciting new pieces for the Baselworld exhibition.” Says Jayesh, aged 34. Charles Green manufactures all of its jewellery within the UK, providing some of the finest quality jewellery in the country, and has previously supplied jewellery to the Royal Family. The 190-year-old business places a strong focus on quality and craftsmanship, as well as excellence in service both at the point of sale and aftercare. “We’re delighted to have Jayesh on board. He’s an exceptionally skilled Gem Mounter with a great background in jewellery making. He has already begun work on some beautiful, bespoke jewellery and we’re very much looking forward to seeing the finished one-off pieces he is working on for the Baselworld exhibition in March” says Oliver Sutton, Managing Director at Charles Green.